Hot melt adhesive for point of sale and shop display applications. Point of sale displays range from simple counter top displays near checkouts to very sophisticated cardboard sculptures, almost all of which require adhesive to manufacture. It’s often difficult to automate the production of the displays as runs are short, some components are very large and designs contain many interchangeable elements. Traditionally industrial glue guns and hot melt adhesives have been the preferred tool of choice for the efficient assembly of point of sale displays, largely because they provide excellent results, are easy to work with and are widely available. The finished displays have a tough life, often loaded with heavy merchandise and then dragged around the stores – so the structural integrity can be severely tested. Add to this, exposure to sunlight if in a window display and low temperatures during transportation or unheated warehousing, and it’s clear to see that any adhesive used in the manufacture of point of sale displays has a lot to contend with. Sadly, most point of sale manufacturers, even with the best trained production staff putting the right amount of adhesive on at the right temperature and making the bonds quickly, can still recount stories of costly field failures due to the use of poor quality hot melt. The challenges facing POS manufacturers are almost unique as the materials being bonded are far from simple cardboard. The cardboard used is often coated or varnished and other component parts are made from a variety of plastics. A small change in any one material can affect adhesion and is often difficult to track with the multiple layers in the supply chain. Given the sensitivity and the demands of this application it is vital that a high quality adhesive is used that will perform consistently from one year to another and, more importantly, have enough adhesion to more than cover the requirements so that it is as tolerant as possible to of all the variables involved. Using a high quality adhesive, like tecbond 213 or tecbond 214, helps to reduce field failures for longer periods of time. While customers might be initially attracted by the lower pricing of a lesser adhesive, the cost of having to recall and repair point of sale units from across multiple locations quickly adds up. 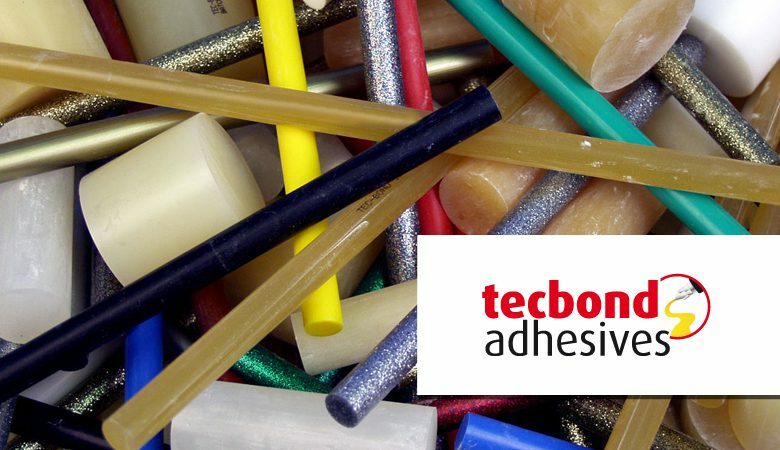 Tecbond hot melt and tec glue guns are used by almost all respectable point of sale manufacturers for good reason. Quite simply, the technology works reliably when they need it. To reduce costs, point of sale producers are sometimes tempted down the path of bulk tanks, the idea being that the costly bulk tank system will pay for itself in adhesive savings within a few years. But in reality, bulk tanks need expensive maintenance and can degrade the adhesive if left molten and unused in the tank. In particular, the heated hoses used to pipe the adhesive to the hand guns do not like being continually flexed in normal use, let alone being flexed when full of cold adhesive. Replacements are often several hundred pounds, and downtime is significant as it is not just a case of plugging in a new glue gun. Yes, the adhesive might be a little cheaper, but add the servicing and spare parts of a bulk tank system to this and a few missed deadlines due to equipment failure, and the savings quickly disappear.